Discover the world of smart lighting with the Philips Hue White and Color Ambiance Starter Kit. Choose from 16 million colors to create your own light scenes and combinations. Control your lights using the Google Home Hub’s tablet interface or with the Google voice assistant. The Philips Hue White and Color Starter Kit offers the most advanced features available in the smart lighting world. Everything you need is included, so you can get started right away. Create captivating multi-colored lightscapes at home, control lights on the go or at home from the Google Home hub, and synchronize your lights with music, movies, and games. Harness “Home View” control: The Google Home Hub lets you manage all your Google Home compatible smart home devices right from its interface. You can even group devices by room for easier control. No need to juggle multiple apps! Convenient geofencing: If you share your location with Hue, your smart lights will automatically turn off when you leave home and turn back on when you return. Hands free voice control: You can dim, turn lights on and off, and change their colors with your voice when you use the Google Home Hub’s built-in Google voice assistant. Discover 16 million colors and whites: Create your own light scenes to suit any mood, whether you want to create a relaxing evening atmosphere or a funky rainbow colored room. Multimedia synchronization: Hue lights can change color based on the movie, game, or music you are currently enjoying. They respond to audio and visual cues to match the lighting to your entertainment, creating a truly unforgettable experience. Transform your home with the Philips Hue White and Color Ambiance smart bulbs. No two days are alike when you can create an endless number of unique lightscapes with 16 million colors. Control the lights on the go with your phone, with your voice, or from the Google Home Hub’s easy to use user interface. Setting up your Philips Hue White and Color Ambiance Starter Kit and Google Home Hub is a piece of cake. In 10 easy steps we’ll show you how to set up your new smart lights and link them to the Hub. 1. Assemble the Hue Bridge and plug it into your Wifi router. 2. Screw the Philips Hue bulbs into light sockets. 3. Download the Philips Hue app on a smartphone or tablet. 4. Your phone will automatically detect the Hue Bridge. Then enter the 8 digit code on the back of the Bridge into the app. 5. The installed bulbs will now be recognized by your smartphone and you can organize them into separate rooms in the app. 6. Next, download the Google Home app on your smartphone or tablet. 7. Enter the Google Home app and tap the “add” button. 8. Next, select the “works with Google” option. 9. Then select the Philips Hue app from the list. 10. Finally, log in to the Philips Hue app to finish linking your Google Home Hub to your Philips Hue smart lights. Smart light bulbs are a great way to dip your toes into the world of smart home. What’s even better is that you can conveniently control all your Google Home compatible devices (including lights!) right from the Hub’s interface. Setting up your smart lights and linking them to your Google Home Hub takes just a few minutes. The lights are made from a durable plastic and have an output of over 800 lumens. Create unique light recipes, manage lights on the go or with your voice, and enable geofencing for more convenient lighting. The smart lights respond to commands without delay, whether you control them on the go, with your voice, or from the Google Home Hub. The Hub has a stylish design and premium feeling finish. Choose from four different colors to find the one that best suits your home decor. The Google Home Hub adds even greater value to the already reasonably priced smart light starter kit. 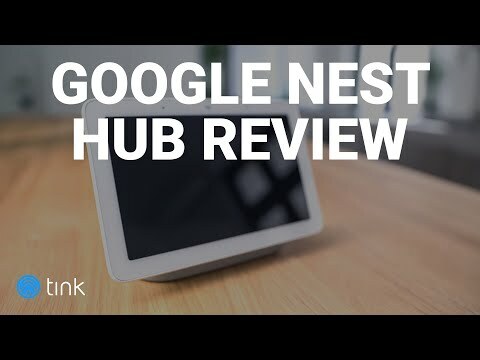 Does the Google Home Hub replace the need for the Hue Bridge? No, you will still need to connect the Hue Bridge to your router to use the Philips Hue White and Color Ambiance bulbs. However, once set up you can control your lights from the Google Home Hub. The Hue Bridge is included in this package. How many Philips Hue light bulbs can the Hue Bridge control at once? You can link up to 50 bulbs to a single Hue Bridge. What is the lifespan of a Philips Hue White and Color Ambiance bulb? A Philips Hue light bulb has a lifespan of about 25,000 hours.